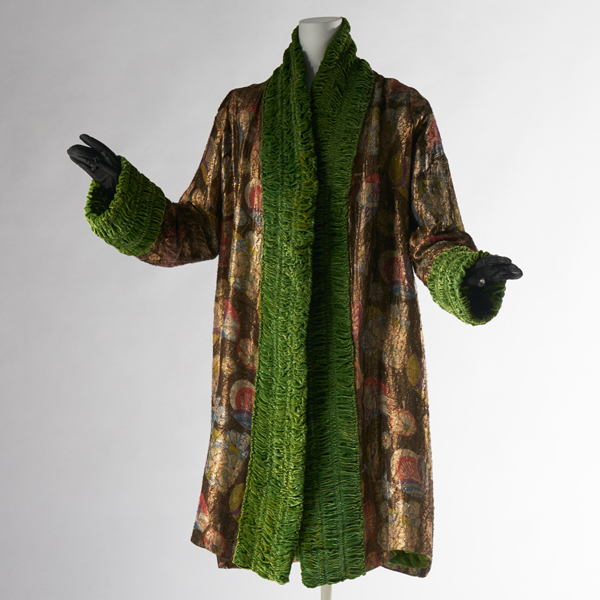 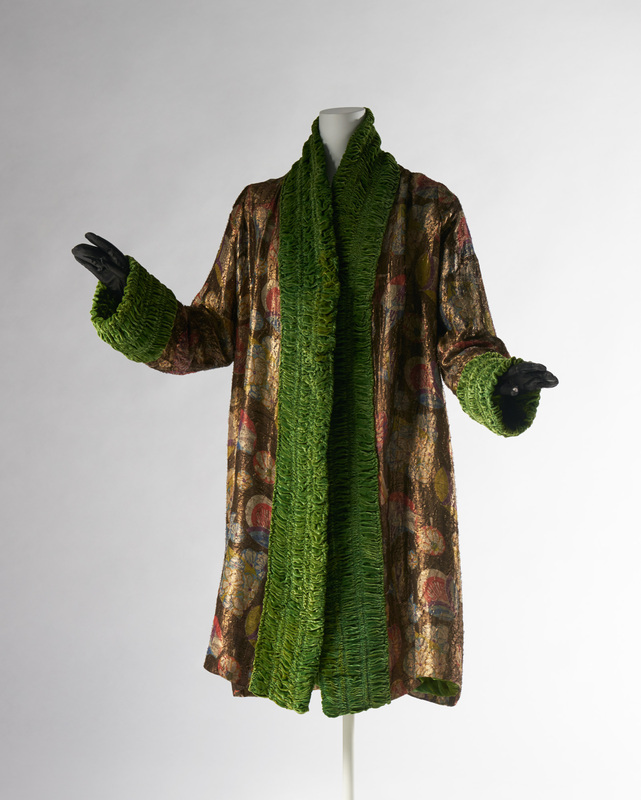 Brown lamé woven with warp of gold thread; polychrome patterns like stencil print; green silk velvet at collar, cuffs and lining. 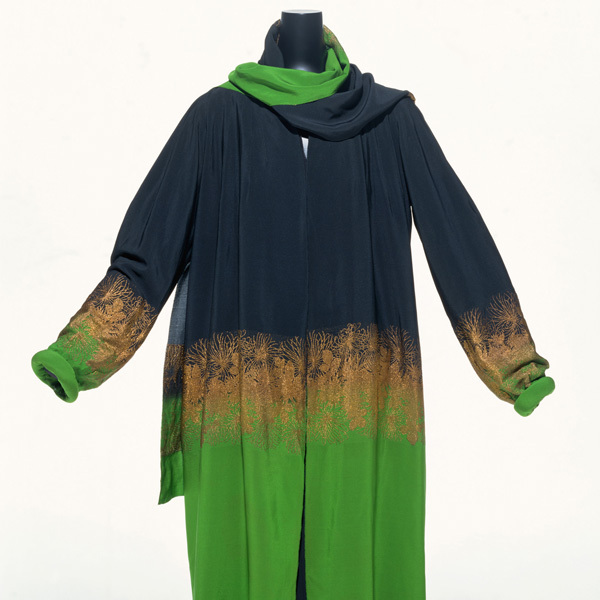 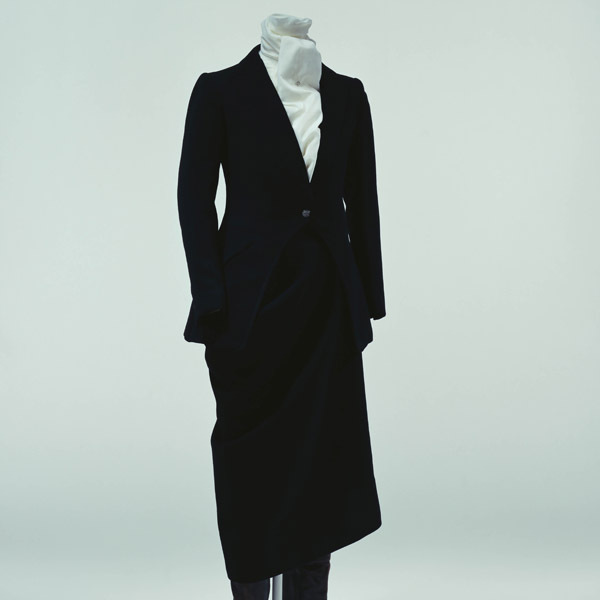 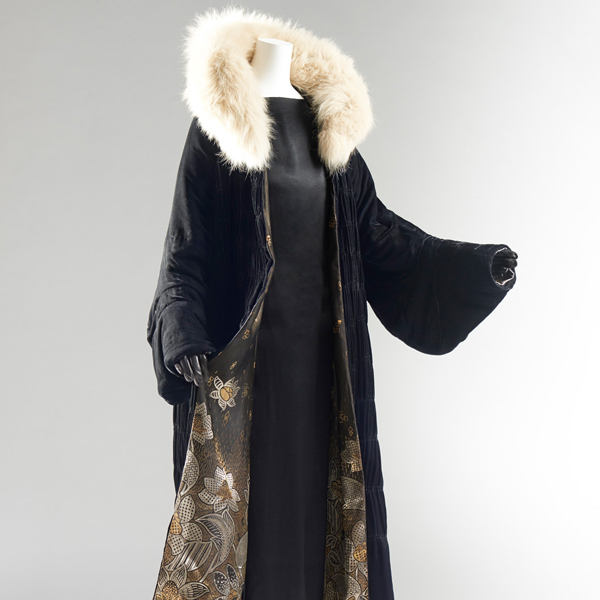 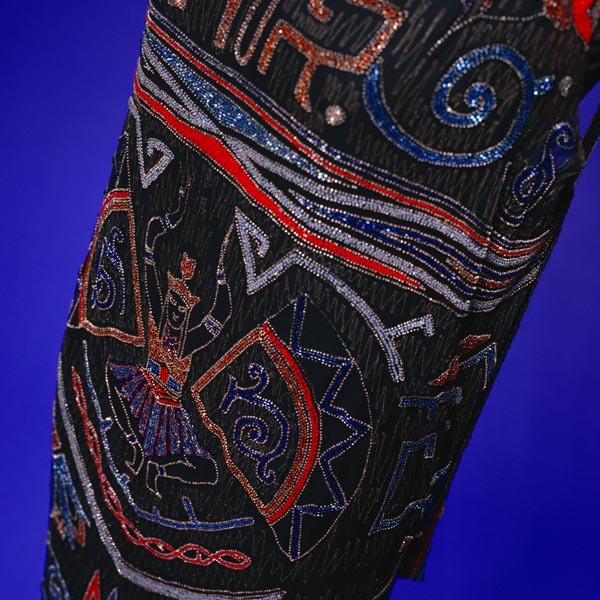 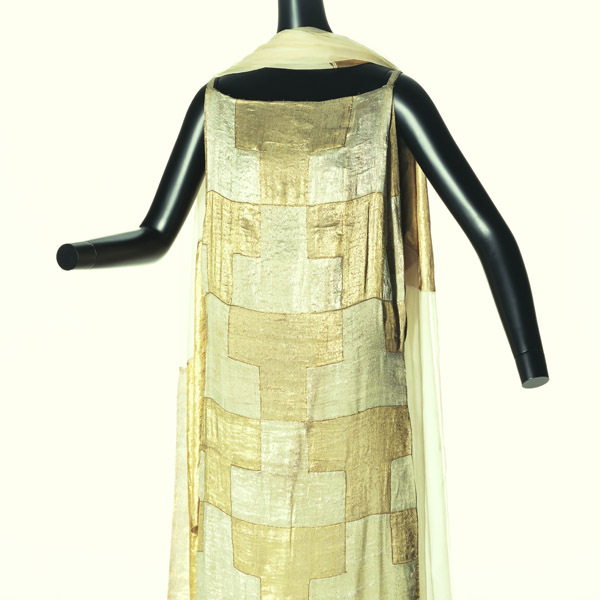 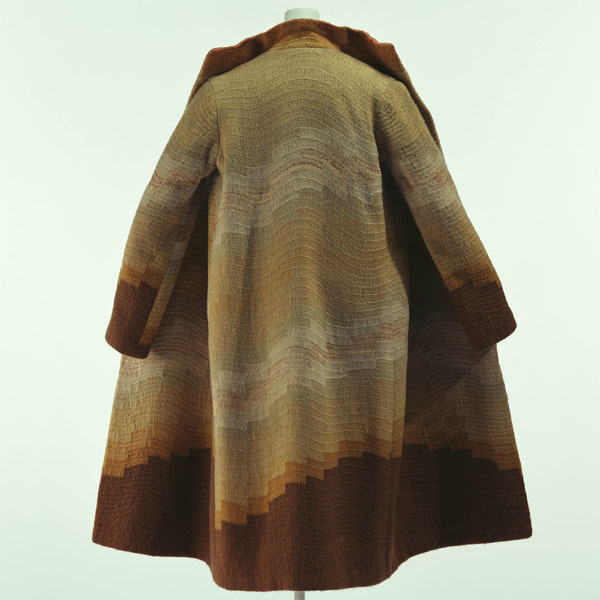 This evening coat demonstrates complex and sophisticated weaving techniques employing a weft of looped gold thread that is woven into warp threads dyed in polychrome patterns before weaving. 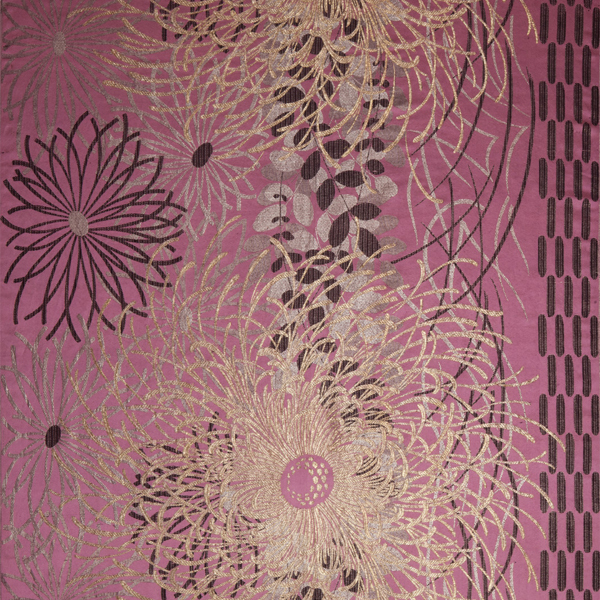 The patterns included scattered flowers, fans, balls and other patterns of the sort used in Japan for dyeing stencils or on “chiyogami” colored paper. 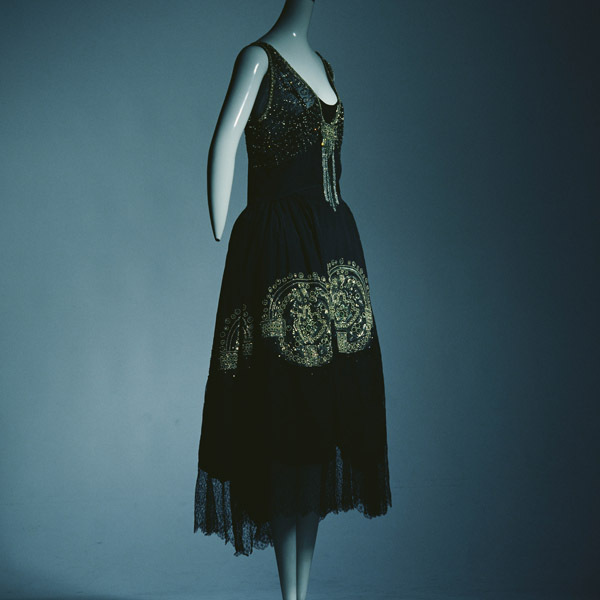 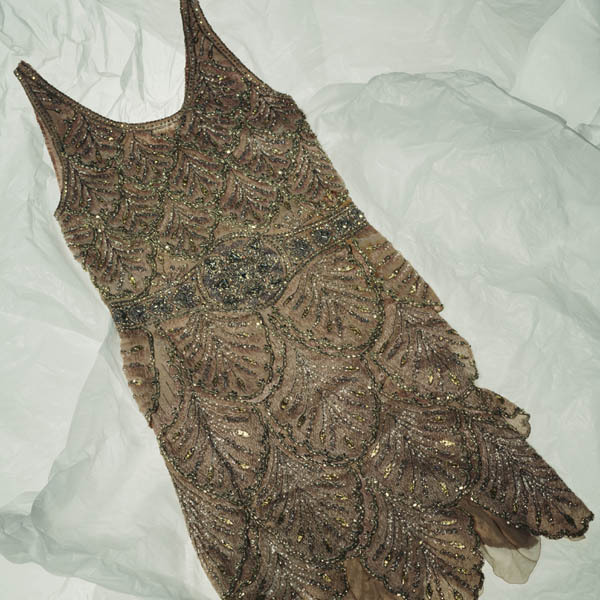 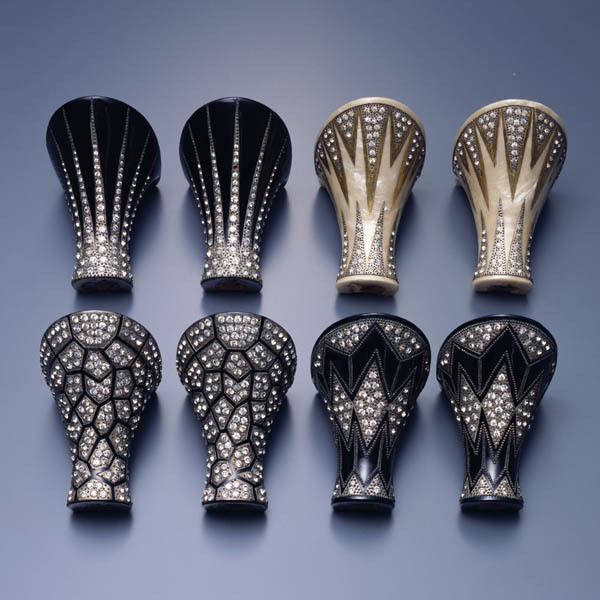 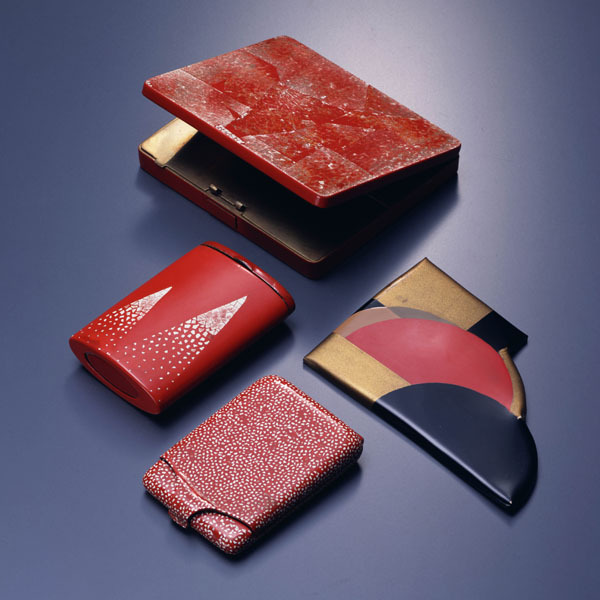 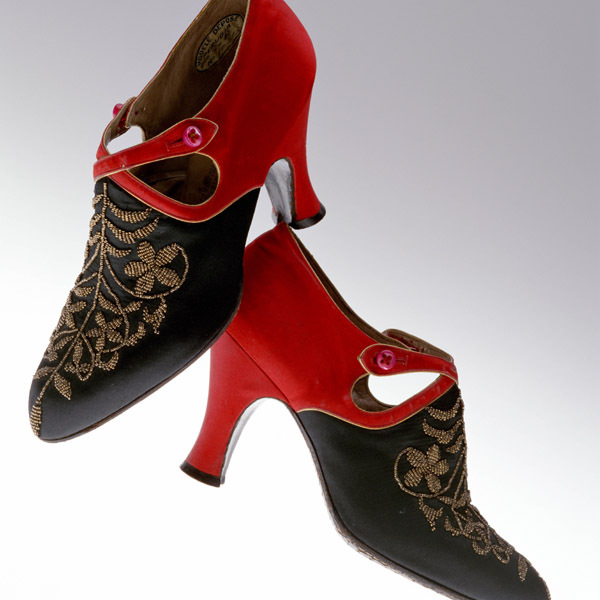 Stylized geometric patterns employing such motifs are here produced using lamé, which started to became popular in Paris in about 1920, giving off a sheen that suggests fine craftwork. 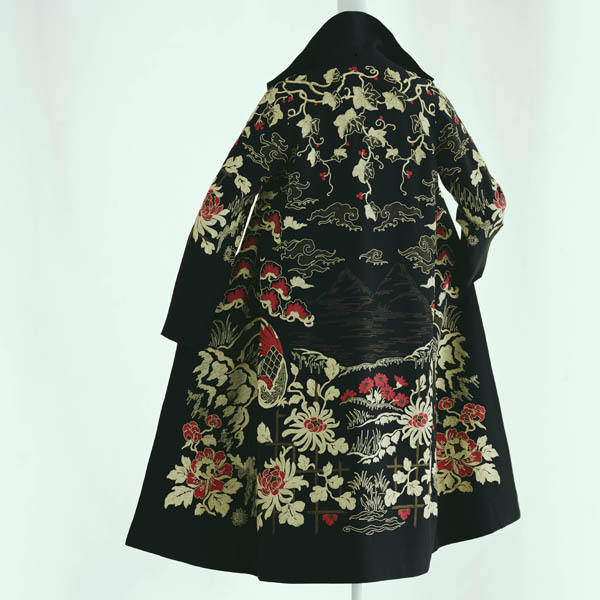 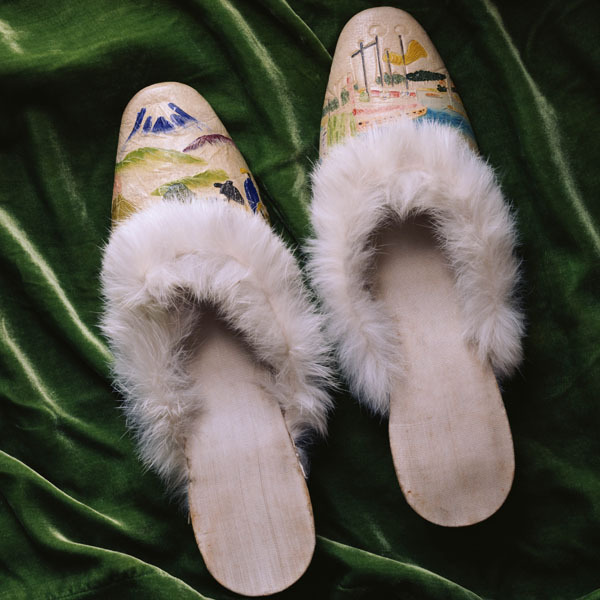 From the second half of the 19th century to the early 20th century, Japanese dyeing stencils and chiyogami taken to Europe provided a powerful inspiration for Western craftspeople, and their patterns were widely used for textiles as well as for crafts and interior decoration. 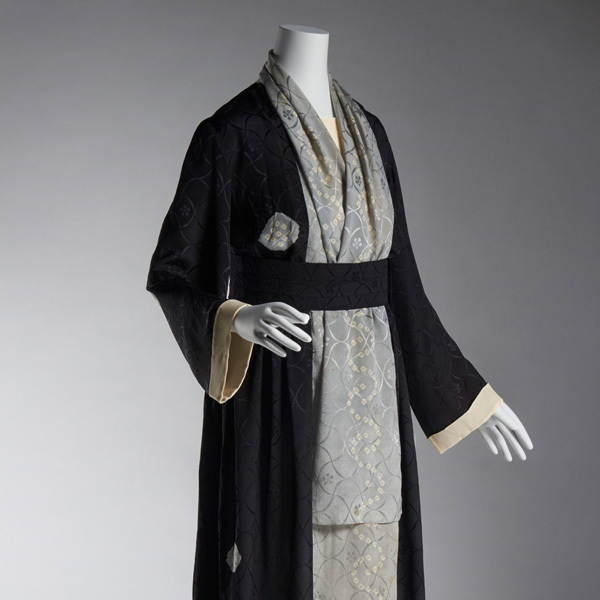 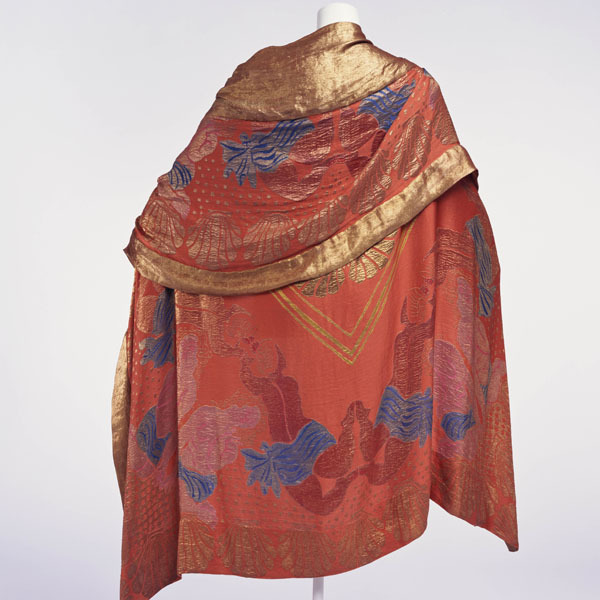 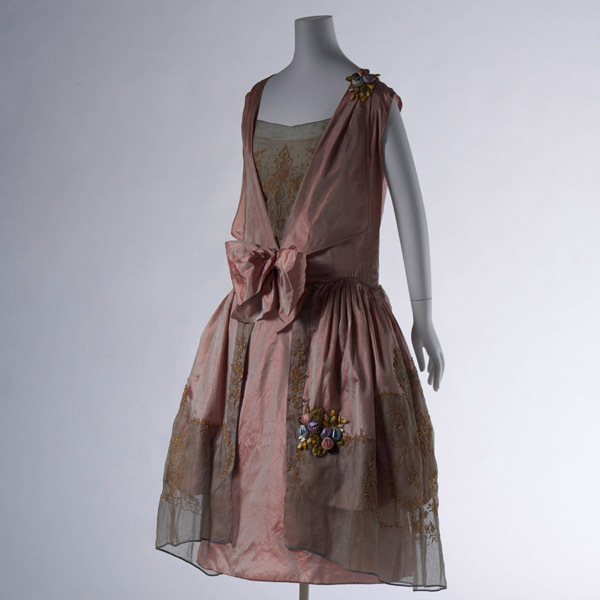 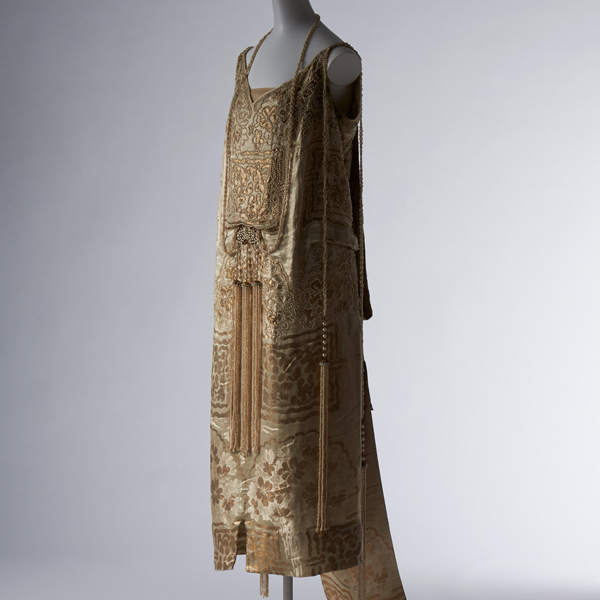 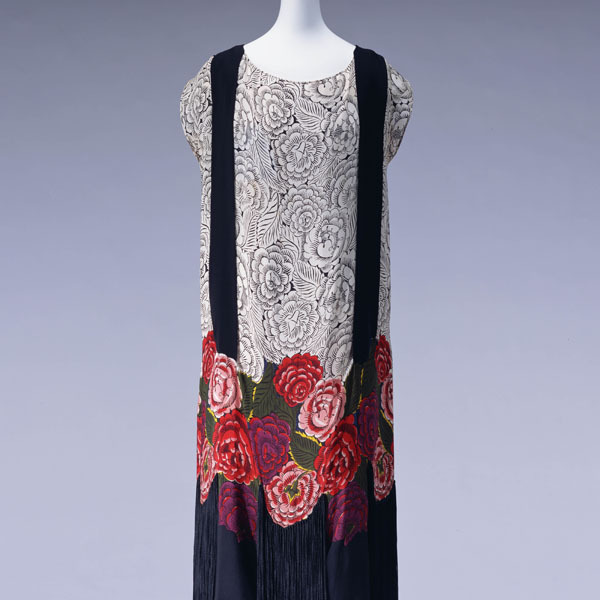 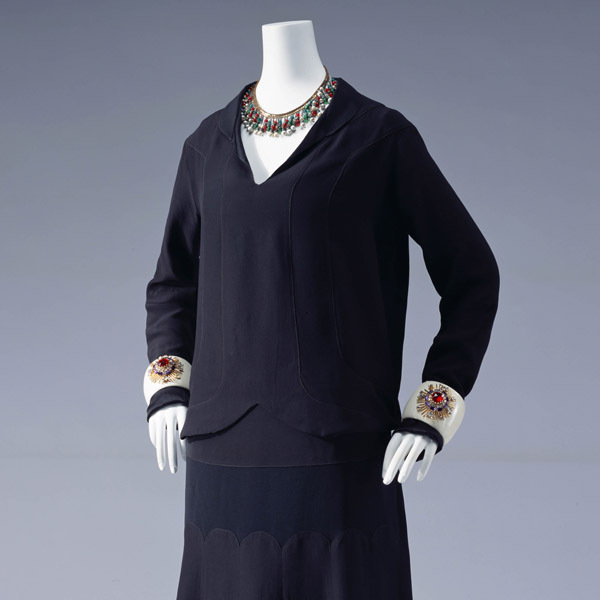 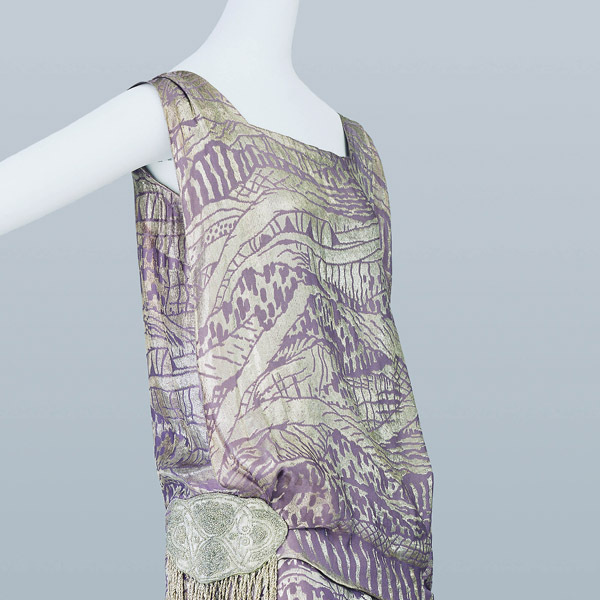 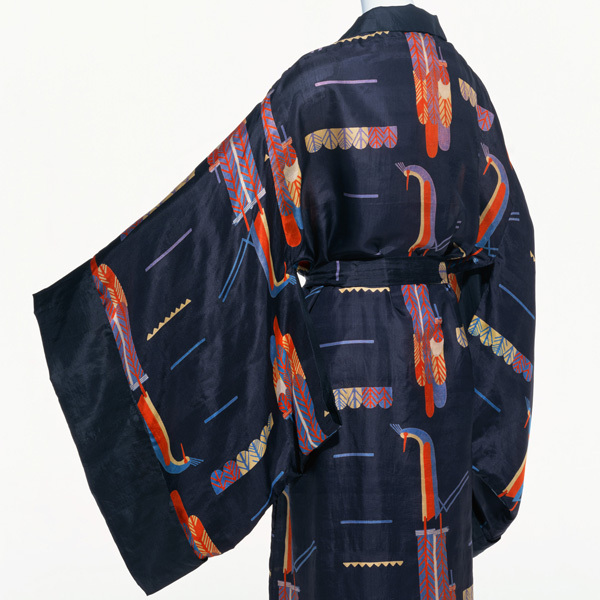 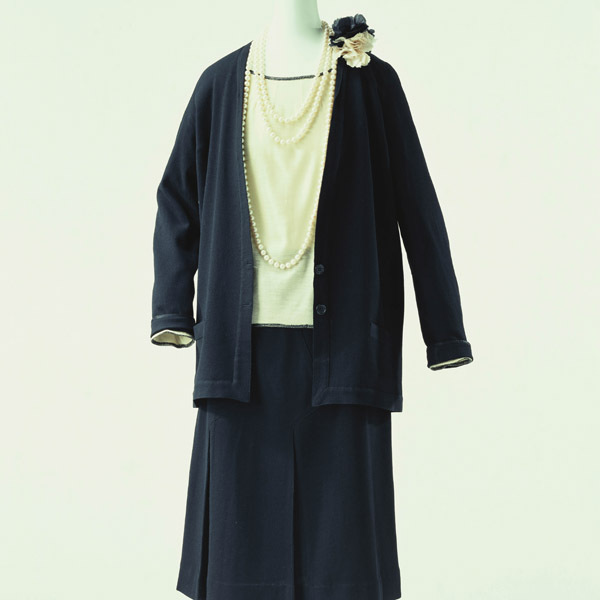 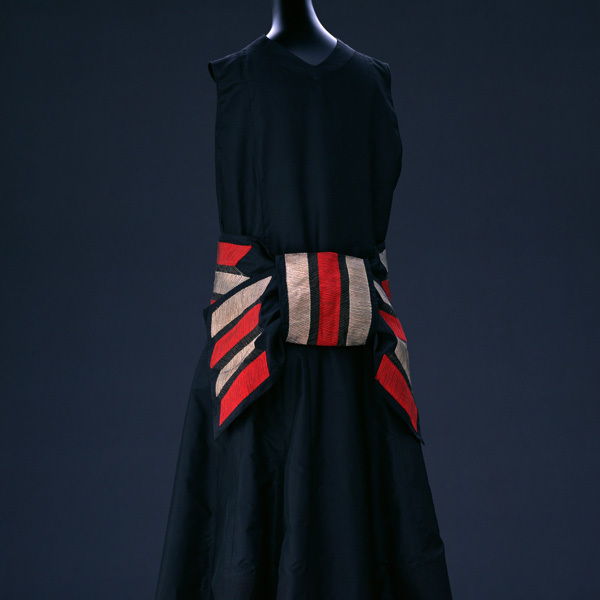 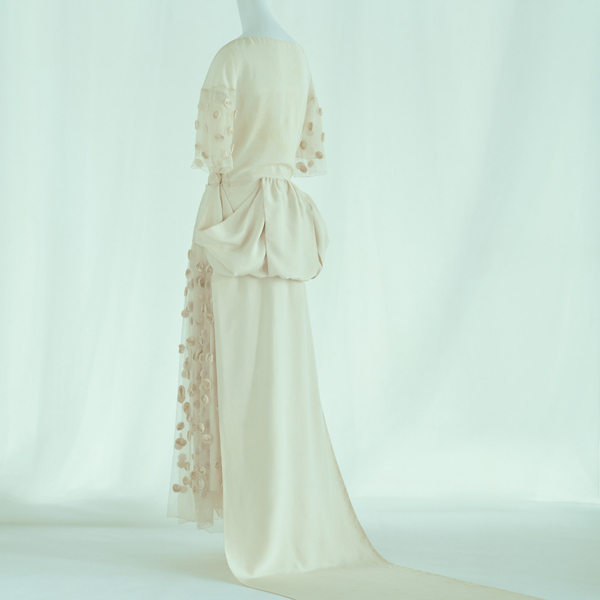 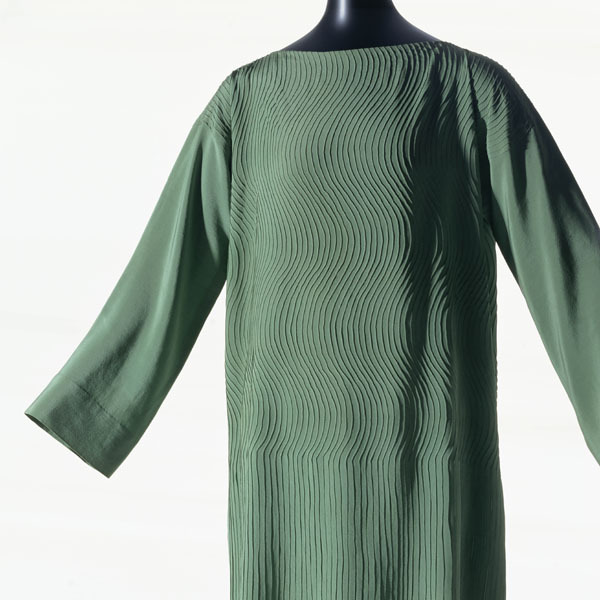 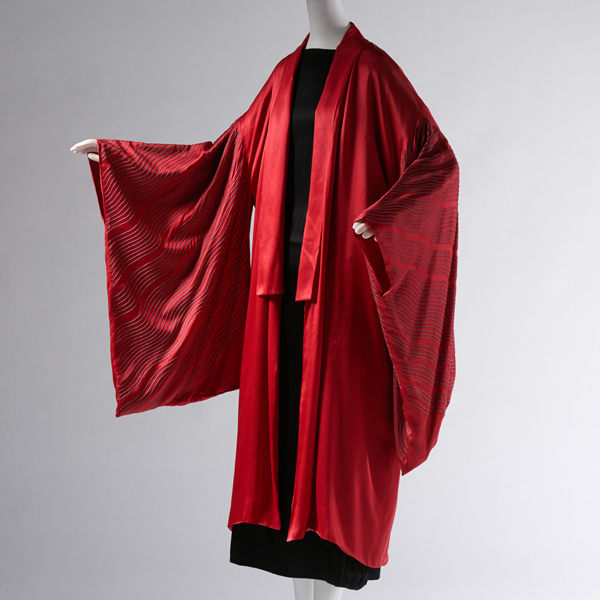 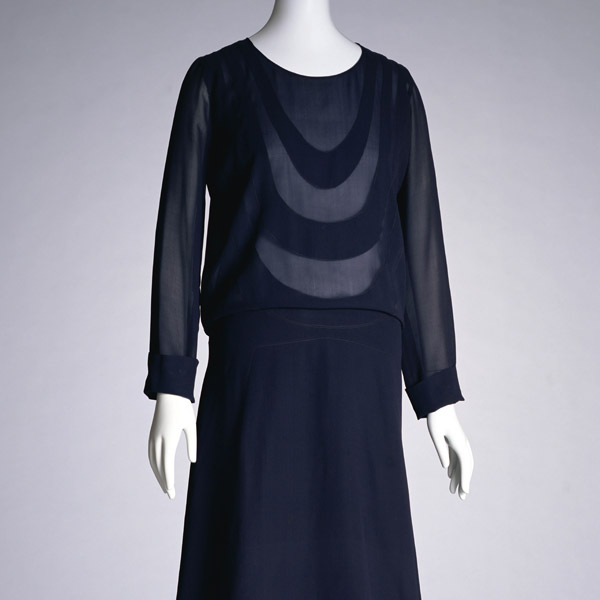 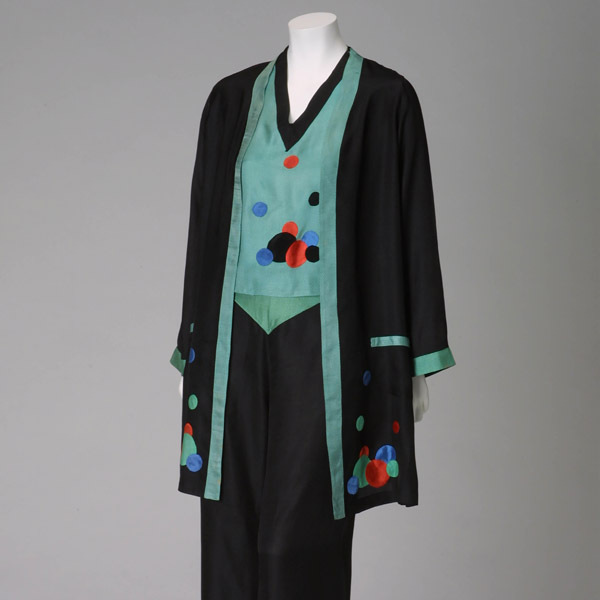 Paul Poiret, who established the Martine textile atelier in April 1911, was one of the designers fascinated by Japanese patterns and textiles, and this item is reminiscent of Martine’s printed textiles that combine geometric patterns with an air of simplicity.